John Stith Pemberton was the inventor of the Coca-Cola beverage. In his day Pemberton was a most respected member of the state's medical establishment, but his gift was for medical chemistry rather than regular medicine. He was a practical pharmacist and chemist of great skill, active all his life in medical reform, and a respected businessman. His most enduring accomplishments involve his laboratories, which are still in operation more than 125 years later as part of the Georgia Department of Agriculture. Converted into the state's first testing labs and staffed with Pemberton's hand-picked employees, these labs almost single-handedly eliminated the sale of fraudulent agriculturalchemicals in the state and ensured successful prosecution of those who tried to sell them. Early Life and Career: Born on January 8, 1831, in Knoxville, in Crawford County, Pemberton grew up and attended the local schools in Rome, where his family lived for almost thirty years. He studied medicine and pharmacy at the Reform Medical College of Georgia in Macon, and in 1850, at the age of nineteen, he was licensed to practice on Thomsonian or botanic principles (such practitioners relied heavily on herbal remedies and on purifying the body of toxins, and they were viewed with suspicion by the general public). He practiced medicine and surgery first in Rome and its environs and then in Columbus, where in 1855 he established a wholesale-retail drug business specializing in materia medica (substances used in the composition of medical remedies). Some time before the Civil War (1861-65), he acquired a graduate degree in pharmacy, but the exact date and place are unknown. The analytical and manufacturing laboratories of J. S. Pemberton and Company of Columbus were unique in the South. "We are direct importers," the company claimed, "manufacturing all the pharmaceutical and chemical preparations used in the arts and sciences." Established in 1860 and outfitted with some $35,000 worth of the newest and most improved equipment—some of it designed and patented by the company—it was "a magnificent establishment," an enthusiastic reporter from the Atlanta Constitution proclaimed in 1869 when the labs were moved to Atlanta, "one of the most splendid Chemical Laboratories that there is in the country." The Origin of Coca-Cola: A few years before Coca-Cola began its spectacular rise to international acclaim, a drink known as Pemberton's French Wine Coca was extremely popular in Atlanta. Its fame spread throughout the Southeast, and the demand for the tasty beverage was high. In 1885 a reporter from the Atlanta Journal approached the creator of French Wine Coca and asked him for a detailed analysis of the new drink. Pemberton replied, "It is composed of an extract from the leaf of Peruvian Coca, the purest wine, and the Kola nut. It is the most excellent of all tonics, assisting digestion, imparting energy to the organs of respiration, and strengthening the muscular and nervous systems." He explained that South American Indians considered the coca plant a sacred herb and praised its beneficial effects on the mind and body. With the aid of the coca plant, the Indians had performed "astonishing" feats, he said, "without fatigue." Pemberton then admitted that his coca and kola beverage was based on Vin Mariani, a French formula perfected by Mariani and Company of Paris, which since 1863 had been the world's only standard preparation of erythroxylon coca. Realizing that he needed financial backing to market this nonalcoholic version of French Wine Coca on a large scale, Pemberton formed a company for that purpose. He put his son Charles in charge of manufacturing Coca-Cola, and after prohibition ended in 1887, he again produced French Wine Coca. He announced that he would retire from active practice, sell his drugstores in Atlanta and elsewhere in the state, and devote all his time to promoting his beverages. Meanwhile, a group of businessmen responded to Pemberton's appeal to finance the new Coca-Cola Company. He was to receive a royalty of five cents for each gallon of Coca-Cola sold. Asa Griggs Candler: After Pemberton's death, a man named Asa Griggs Candler rescued the business. In 1891, he became the sole owner of Coca-Cola. In addition to the coupons, Candler also decided to spread the word of Coca-Cola by plastering logos on calendars, posters, notebooks and bookmarks to reach customers on a large stage. 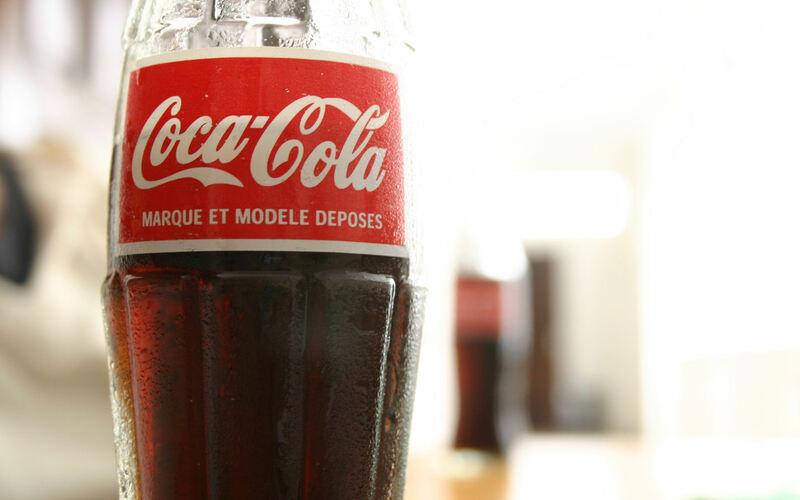 It was one step in making Coca-Cola a national brand, rather than just a regional brand. A controversial move on the part of Candler was to sell Coca-Cola syrup as a patent medicine, claiming it would get rid of fatigue and headaches. In 1898, however, Congress passed a tax in the wake of the Spanish-American war. The tax was on all medicines, so Coca-Cola wanted to be sold only as a beverage. After a court battle, Coca-Cola was no longer sold as a drug.